Former MRC triathlete Hans Thamain passed away Thursday after crashing his bike in Hyannis a few days ago. The details are fuzzy. Nobody seems to know if he was hit by a car or run off the road, or if he had some medical episode. He was in a coma for a couple of days before passing. Hans was amazing: he was 77 and was still racing Ironman triathlons and teaching at Bentley. In fact he qualified for Kona for the fifth time this year. The MRC sends out condolences to his family and all who knew this remarkable and kind man. Details of services here. 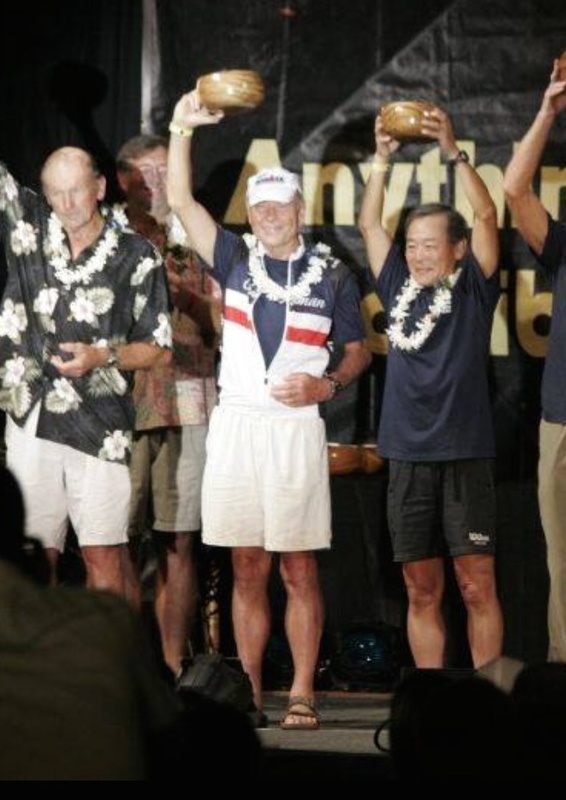 Congrat’s to Jim Lewis who crossed the line in Kona – You’re an Ironman! Looks like it was one of the more brutal days on the Big Island. I saw one post that indicated that temps on the lava fields hit 135 degrees F! That’ll melt your Michelins. Nice job Jim! On Saturday, October 8th, Minuteman tri-guy Jim Lewis will be competing in the Ironman World Championships. Jim’s been training like a madman all summer (easier to do when you don’t have a full-time job) and is ready to rock and roll. Follow Jim on Ironmanlive.com on Saturday as he swim’s 2.4 miles in Kailua Bay, Bikes 12 miles throught the lava fields, and runs a marathon in the scorching heat and humidity the island is so famous for (better you than me, man).